The thermal imaging camera was mounted in the top of the tail of the Falcon 7X, looking down on the right horizontal stabilizer. Air flowing across an airplane's wings will provide the lift that is essential for flight, but it also causes friction and drag, which slows down the aircraft and causes inefficient propulsion. Laminar air flow along an airplane's wings can theoretically greatly reduce drag, improving the airplane's efficiency. That's why many aerodynamics researchers are looking into wing designs that stimulate laminar air flow. To that end Dassault Aviation has performed test flights with a Falcon 7X using a FLIR Systems thermal imaging camera that can differentiate between laminar flows and turbulent flows, allowing the researchers to evaluate the laminarity of the air flow on a wing during the flight. The thermal imaging camera Dassault used during the test flight was a FLIR SC7750L thermal imaging camera. 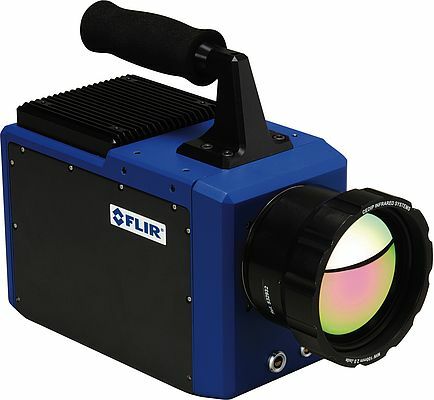 This cutting edge thermal imaging camera is capable of measuring temperature gradients at high altitudes, despite the low outside temperatures and pressure. 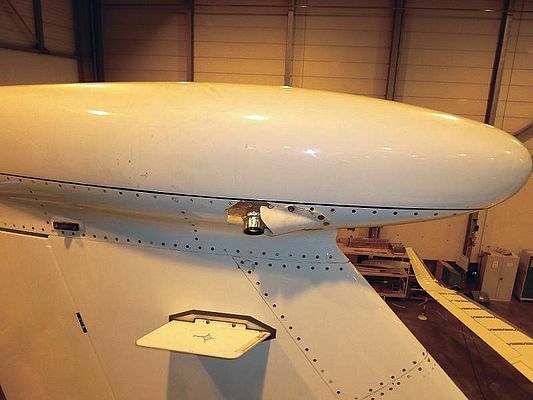 In the test at Dassault's flight test centre in Istres, France, the company applied a black covering to the right horizontal stabilizer of a Falcon 7X and mounted the FLIR SC7750L thermal imaging camera to look down on the surface from the top of the horizontal tail. Part of the 'Smart Fixed Wing Aircraft' effort under the European Clean Sky research program, this test flight is a precursor to planned 'smart laminar wing' flight tests in 2014 on specially modified Airbus A340- 300 by Airbus, Dassault and other partners. The Clean Sky program is one of Europe's largest research initiatives ever, and it aims to develop technologies for cleaner and quieter next-generation aircraft which will enter service sometime beyond 2020. Dassault Aviation is a leading aerospace company with a presence in over 70 countries across five continents. Dassault Aviation produces the Rafale fighter jet as well as the complete line of Falcon business jets. The company has assembly and production plants in both France and the United States and service facilities on multiple continents. 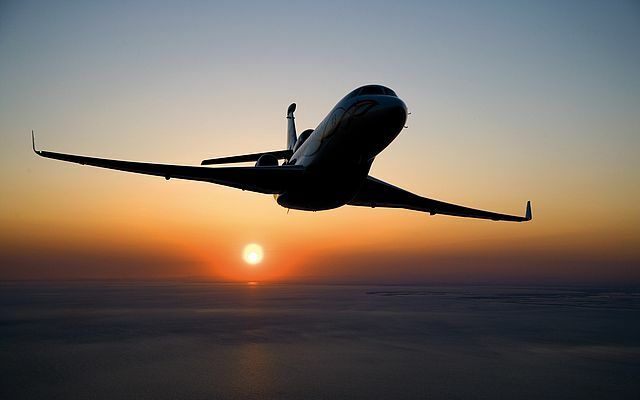 Since the rollout of the first Falcon 20 in 1963, 2,000 Falcon jets have been delivered to 67 countries worldwide. "Laminar wing technology has huge potential"
According to Philippe Rostand, Future Falcon Pograms Project Manager, his company has plans to implement drag-reducing laminar flow technology in their designs in the near future. "Theoretically the potential of laminar wings is huge. Among other aerodynamic innovations, laminar wing technology offers the largest potential for a dramatic decrease in drag. Initial studies indicate a potential 5-10% drag decrease and corresponding reduction in fuel burn and CO2 emissions with a laminar wing design on a large aircraft." "The flow of air around an airplane's wing causes friction", explains Philippe. "This air flow can be laminar, which basically means that no turbulence occurs and the amount of friction is low, or it can be turbulent, which is characterized with larger amounts of friction. A larger amount of friction causes significantly higher energy consumption for aircraft propulsion, so aircraft designers want to increase the amount of laminar air flow and decrease the amount of turbulent air flow." Dassault Aviation therefore previously performed a series of successful test flights with an experimental laminar airfoil in the period 1986-1989 on a modified Falcon 50. However, currently laminar wings are only used on sail planes and small business jets. Demonstrations and analysis on a larger scale are needed to confirm the efficiency increase and the safety of using laminar wings on larger aircrafts. 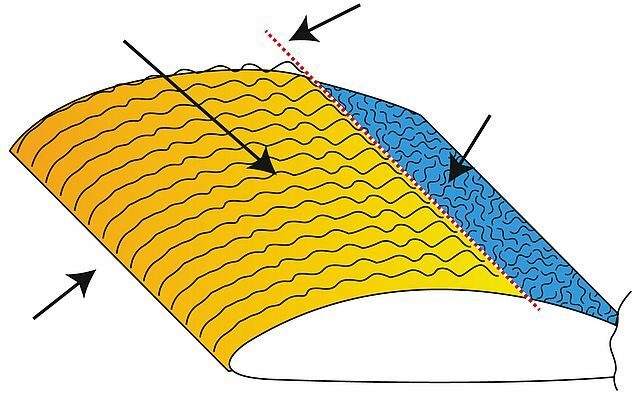 "The process of a laminar boundary layer becoming turbulent is known as boundary layer transition, Philippe explains. "This is an extraordinarily complicated process which at present is not fully understood. One of the reasons for this is the lack in equipment that can accurately map the laminar and turbulent areas of a wing. That is where the thermal imaging camera from FLIR systems comes into the equation." "The use of thermal imaging technology to detect laminar air flow is based on the detection of minute differences in temperature", Philippe continues. "The relation between air friction and temperature is well established in scientific literature; an increase in friction will lead to an increase in temperature. The turbulent areas of the wing, where there is more friction, should therefore be warmer than the laminar areas. But this difference in temperature is extremely small, typically between 0.5 and 3 °C. That is why we needed a reliable thermal imaging camera that can accurately detect such small differences in temperature." In the FLIR SC7750L thermal imaging camera Philippe found the answer. 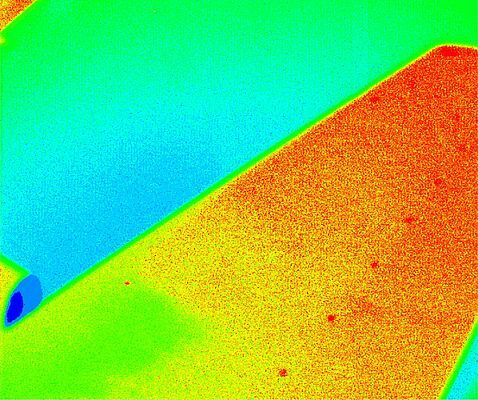 "We hoped that after careful analysis of the thermal data the resulting thermal images would show a distinct temperature difference, allowing us to locate the boundary between the laminar and turbulent areas of the wing. The results are still under analysis by Dassault Aviation and ONERA, (the French national aerospace research center), but initial reports indicate that this goal has been achieved." While the Falcon 7X does not have wings especially designed for laminar air flow, at high altitudes a laminarity of up to 40% was predicted on the upper surface of the horizontal tail. "The measurements using the FLIR SC7750L thermal imaging camera were performed to provide experimental validation of this prediction", says Philippe. "The initial results seem to suggest that the thermal images show the expected laminarity percentage." "This test with the FLIR SC7750L thermal imaging camera has proved that thermal imaging technology is an effective tool for laminar wing research", Philippe concludes." This measurements technique will therefore be used in future test flights to be flown by Dassault, Airbus and the other European partners on an even larger scale, such as the 'smart laminar wing' that will be flight tested in 2014 on a modified Airbus A340-300 test aircraft. Implementing what we will learn from these tests we will hopefully be able to produce better and more energy efficient airplane's in the near future."